The township of Adaminaby has a deep and meaningful history, focused on the grounding values of family and community. The Snow Goose Hotel is no different. We are family friendly and want to ensure that you have the best stay possible, no matter what your reason for visiting our beautiful location may be. Our primary goal is to have strong relationship with our guests and inspire and assist you in fully appreciating all of the magnificent diverse culture and land that is the Australian Snowy Mountains. The Hotel is a part of the central hive of the community, with the sense of this running throughout the Snow Goose in the memorabilia on the walls and the continuous hosting and support for local events and patrons. We believe that in running a pub and justifying its heritage, both new and old, is like nurturing a living organism, always adding focus on intriguing and relevant things, it lives and breaths with its community and guests. 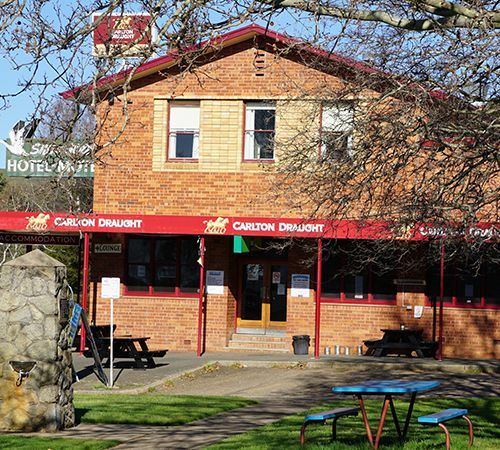 The Snow Goose Hotel of Adaminaby is your family pub and we are here to provide you with the comfort you deserve, excellence in food and drink and spark for your adventures.